﻿Suddenly the eighteenth century seems beset with dogs! 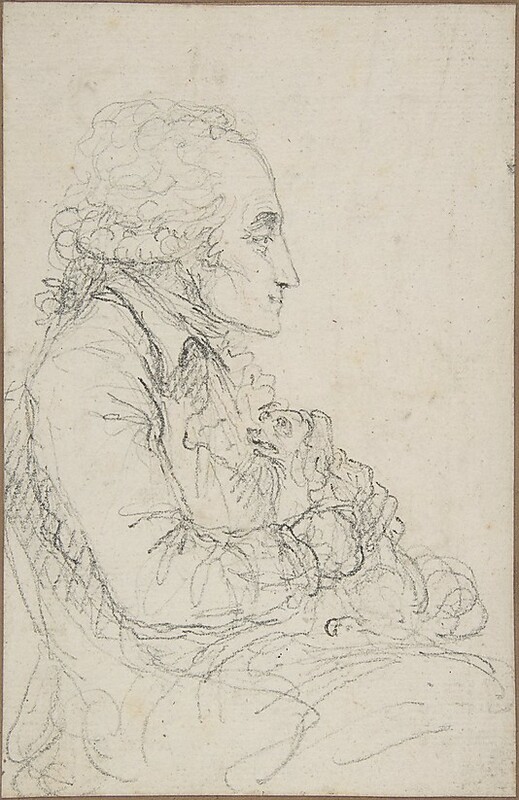 This sketch by Vivant Denon, now in the Metropolitan Museum, represents a rare portrait of Couthon. We are told he did indeed own a white pug, by name of Bramm, that seldom left his lap at the Convention (Cabanès, p.226). We hear of another portrait of Couthon with dog - now lost - in an early biography of the Jean-Baptiste Isabey, pupil of David and a popular artist of the time. Isabey was commissioned to paint a series of leading revolutionaries including, Barère, Saint-Just, Collot-d-Herbois and Couthon. Couthon posed at home in his comfortable, "almost sumptuous" apartment - possibly the one near Pont Neuf. Isabey remarked on Couthon's old-world politeness - he didn't use the term "citoyen" or address anyone as"tu". The text says (inaccurately) that he was forty-five years-old at the time, with a face which was handsome and with an air of kindness which inspired confidence. When Isabey expressed his desire to return home to Lorraine with his young wife, Couthon confided that he similarly longed for the Auvergne, "I, too, hope some day to return to my native province; there, in the bosom of my family, surrounded by neighbors who love and esteem me, I shall become their father, the arbiter of all their disputes". How different, it is remarked, from the fiery revolutionary of the Convention! It is specified that Couthon was seated in a wheelchair ("un fauteuil roulant"), caressing a little spaniel which was sleeping on his knees. "on the way to the guillotine"
Perhaps Denon based his sketch on Isabey's portrait; he certainly produced engravings after Isabey, for example a Barère. 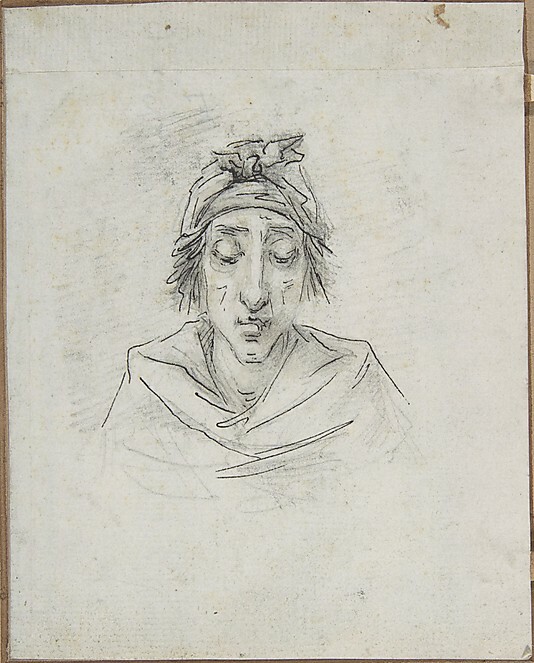 The existence in the same collection of a Couthon "on the way to the guillotine" - an overt caricature - certainly casts some doubt on Denon's sketches as simple drawings from life. Interesting too is the mention of the wheelchair. Could it be that Couthon kept this fine piece of furniture at home, which would tally with it later turning up in the family's possession?